It is so easy to just email or text messages but this beautiful keepsake book provides your guests with the opportunity to write down their thoughts and special messages for you to treasure and look back on the happy memories of your wedding day. Why not ask your guests to leave space next to their message so you can add a photos? 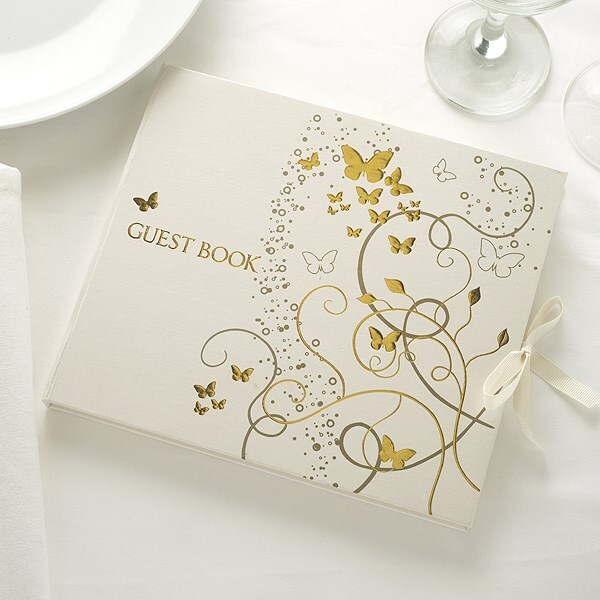 This beautifully embossed and foiled guest book has plain pages and the inside cover is printed with the words 'Guests' and a line for you to fill in details of the occasion.